What if you could, in a few short minutes, have a process to completely rewire your brain- transforming your life, business, and relationships for health, wealth and happiness? 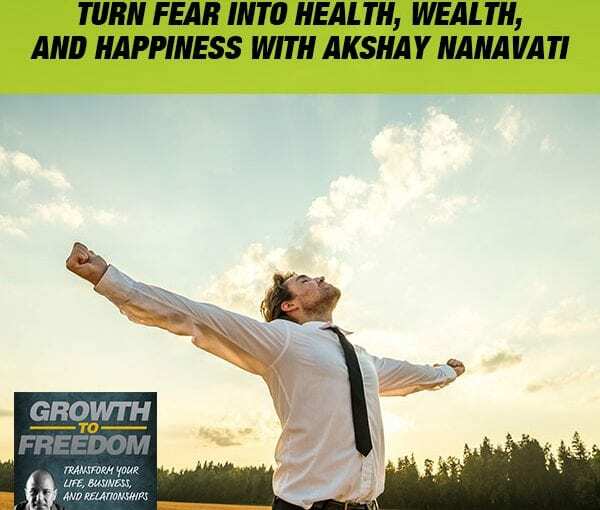 That may seem like a hard task, but Akshay Nanavati can show you how to conquer your fear and push forward in achieving your greatest desires. From his own experiences in the military, and dealing with post-military life, he shares how he overcame the fears that kept him from moving forward in life. Turning fear to health, wealth, and happiness, he inspires us with how he approached trauma as a way to post-traumatic growth, rather than post-traumatic stress. With the belief that fear can never be crushed, but it can be utilized, Akshay shares how we should see it as part of the human experience and embrace it as a starting point to grow.